This mini shuttle bus is for perfect for x12 adults passengers comfortably with standard luggage. Introducing our 12 passenger Turtle Top mini bus. 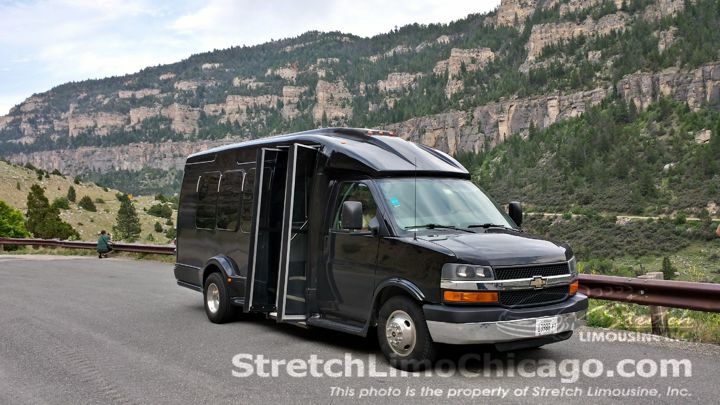 This is a perfect vehicle for corporate events, larger groups traveling between airports, and any outing that requires a vehicle that can very comfortably accommodate 12 people and luggage. 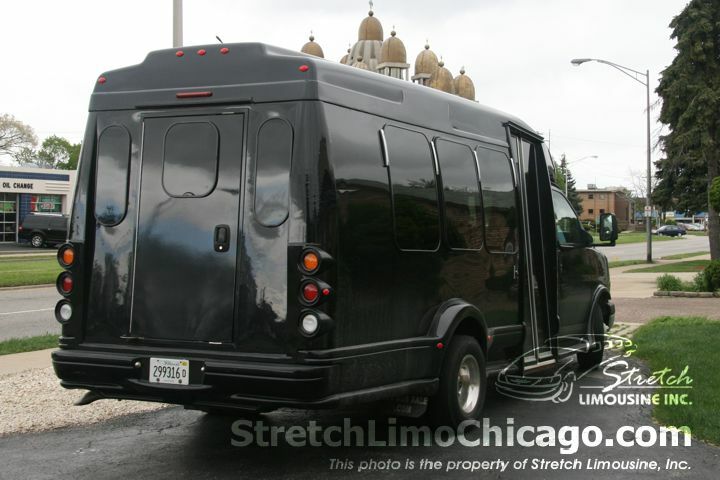 This is a top of a line corporate transport option for executives, small school or larger family trips. Comfort and style merge in this Beautiful vehicle when you need top of the line service and style this is the vehicle choice for you. Scroll to the bottom of this page for hourly and point-to-point rates. 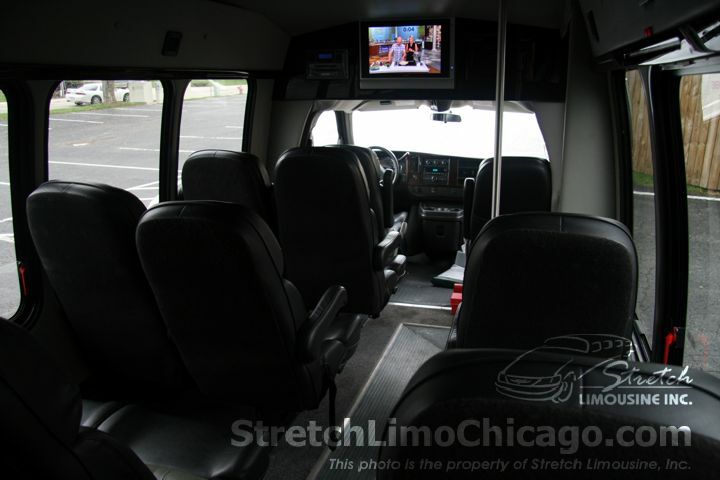 This vehicle is used frequently as a Chicago shuttle bus and travels frequently between Chicago O'hare & Midway airport and the entire Midwest including following states: Illinois, Indiana, Iowa, Wisconsin, Michigan, Minessota or Missouri. 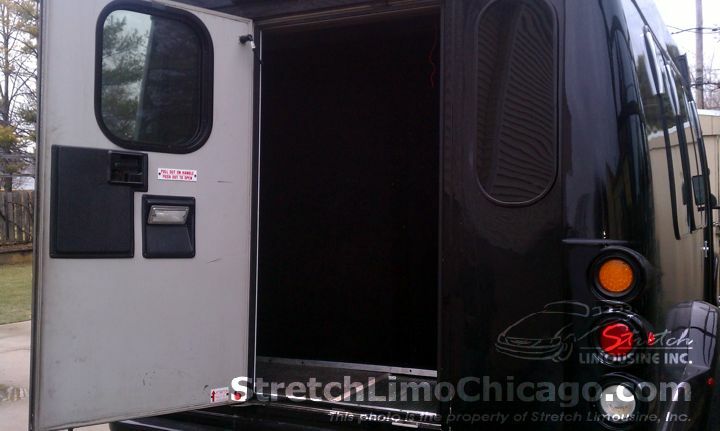 or to reserve this Chicago shuttle bus! 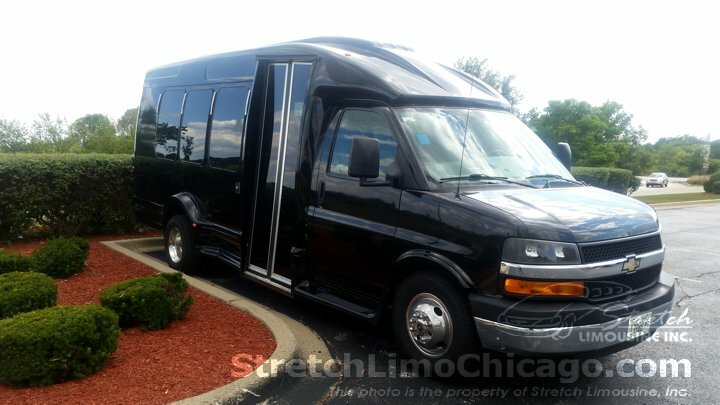 Chevy G3500 Turtle Top van/mini bus. Back to front interior view. Rear of the bus view. 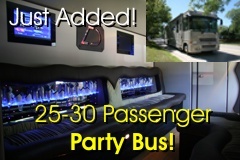 or to reserve this luxury shuttle bus for your next big event! Our point-to-point rates depend mainly on a distance, number of passengers, day of the week and availability of other similar vehicles. Please call our office at 866-425-0976 for a precise quote or request a quote online and receive your custom quote via email. If you need O'Hare airport shuttle bus and Midway shuttle bus, please contact our office. Airport transfers are subject to additional $18 airport tax. Pick-up at one location and drop off at one location. Each additional stop an route is $20 plus gratuity/fuel. Point-to-point Rate Disclaimer: 20% standard gratuity and point-to-point fuel surcharge are additional and will be added to any bus reservation. All point-to-point rates in our 12-to-13-passenger executive Turtle Top shuttle bus above are for one way transportations within 50 miles from O'hare. Please double the rates if you need a round trip. ** Limited availability on Saturday afternoon & evening. April thru November 3 hr minimum for Saturday might be required. Please refer to the rate table below all rates of our Chicago bus. Rates depend on number of hours and day of the week. Please be advised that we do NOT offer point-to-point transportation in our Shuttle Bus. We offer consecutive hours only (straight hours). We do not collect sales tax; however, 20% gratuity and fuel surcharge will be added on top of our Chicago Shuttle Bus rates. Non-refundable deposit is required to hold a reservation any of our buses. What's included w/every Chicago Turtle Top bus reservation? For all hourly services in our Turtle Top bus, Chicago shuttle bus, unlimited stops, unlimited pick-up locations are included. Hourly Rate Disclaimer: 20% standard gratuity and hourly fuel surcharge are additional and will be added on bus reservations. Non-refundable deposit specified above is required to reserve this vehicle and take it off the market. Bus hourly rates displayed above are valid for pick-ups within the 35 mile radius from Chicago O'Hare airport. 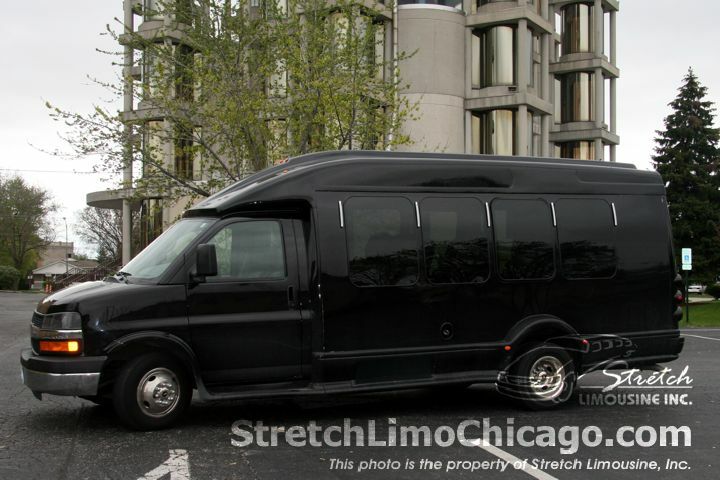 or to reserve this luxury mini bus for your next big event! 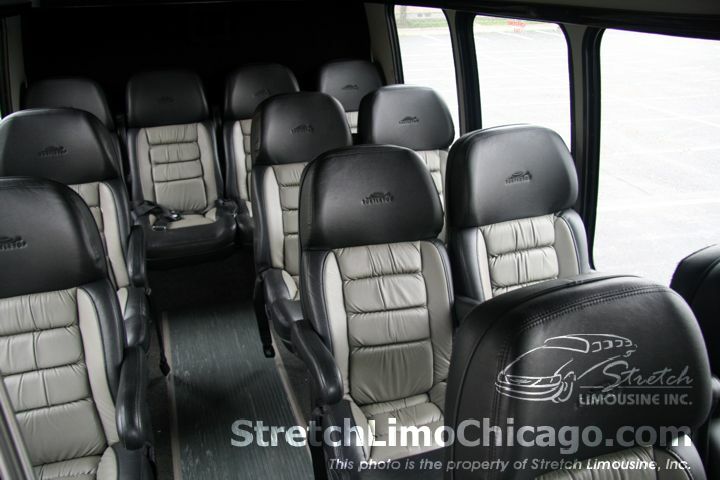 Thank you for visiting our Chicago Shuttle Bus page!